For those who make the effort, it’s well worth it. The collection is housed in a room decorated to look like Sherlock Holmes’ apartment at 221B Baker Street, London, with Victorian-era chairs, a Persian carpet, floor-to-ceiling wooden bookshelves, and a scattering of memorabilia and paraphernalia. The room is decorated with busts, statues, dolls, paintings, and posters of Sherlock Holmes, meerschaum pipes and deerstalker hats (two of his most famous emblems, which, ironically, never appeared in the stories; they were added by actors playing the role), and oddities such as a chess set with pieces carved to resemble Holmes, his sidekick Dr. Watson, and other characters from the series. The collection includes books, stories, and essays by Arthur Conan Doyle on spiritualism, true crime, history, and current issues of the day. He also wrote in several literary genres. But his most famous character, Sherlock Holmes, eclipsed his other writings, and this is reflected in the collection. 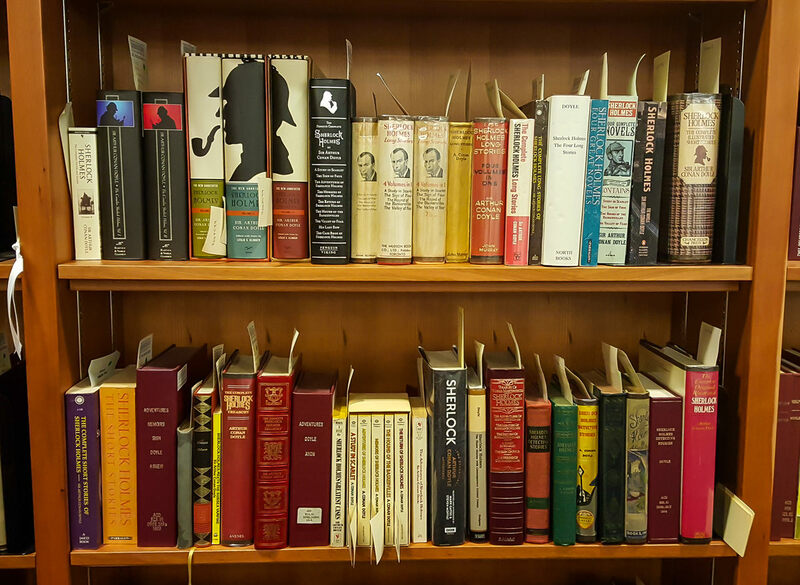 The collection includes many versions of the Sherlock Holmes series, from the original magazines the stories appeared in, to first editions and modern imprints; from translations to adaptions for stage and screen. There’s also lots of books about both Arthur Conan Doyle and Sherlock Holmes, as well as books, called pastiches, by other authors that make use of Doyle’s characters. Mark Twain was one of the first to write this kind of early “fan fiction.” The collection also includes secondary material, such as critical, bibliographical, and biographical studies, published by university presses, commercial publishers, individuals, the many societies devoted to Sherlock Holmes. 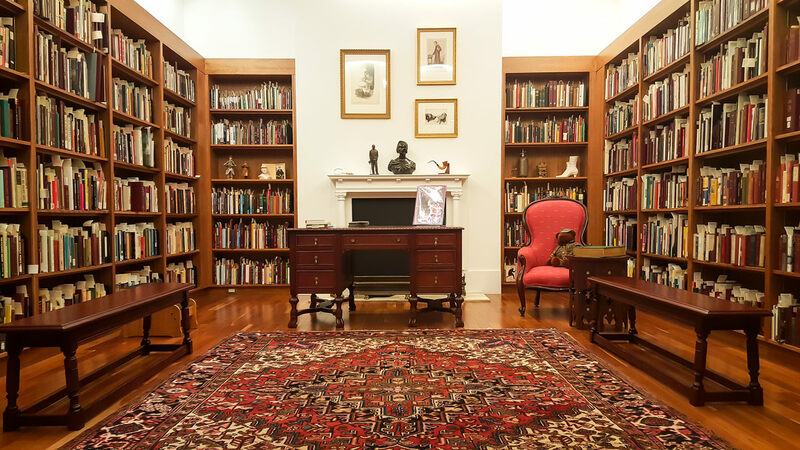 The collection was established in 1969 with the purchase of more than 150 volumes from the estate of Arthur Baillie, a Toronto collector. Over the years, it grew via a mixture of donations and acquisitions, and took up its current residence when the Toronto Reference Library and moved to its current location downtown. Though this is, in fact, a rare book collection, patrons are allowed to touch and read the materials at their leisure. And this makes it an even more extraordinary place. The collection is accessed through the Marilyn & Charles Baillie Special Collections Centre on the 5th floor of the Toronto Reference Library.